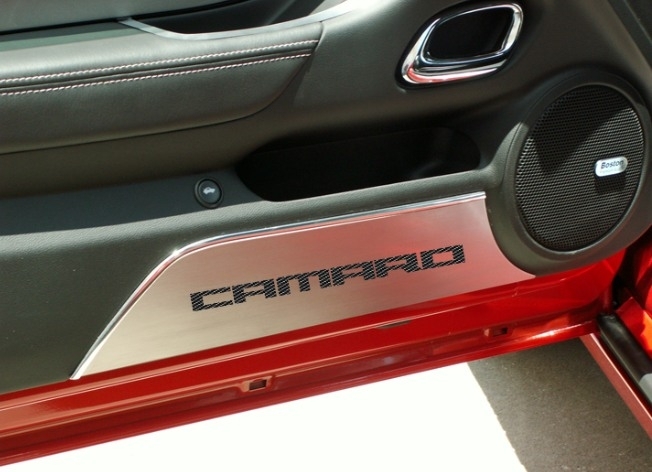 These 2010-2014 Camaro door kick plates are made of stainless steel and have the CAMARO logo cut into each piece. Each piece includes a color insert. Color choices include Yellow, Red, Blue, Black. Sold as a set, two kick plate. 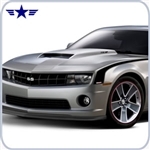 These will fit any 2010-2013 Camaro SS or RS.